If you are a real estate agent in Rohnert Park, Santa Rosa or the surrounding area of California’s Sonoma County, you will want to check out Juniper, our latest community within the University District masterplan. Priced from the upper $500s, Juniper currently offers buyers the most affordable way to be part of the popular masterplan and its generous lifestyle amenities. More than a residential building project, University District was created with a lifestyle in mind. This 260-acre community will have a 7-acre commercial center, 60 acres of open space, two on-site public parks—all within three miles of Sonoma State University and Green Music Center. Exceptional amenities combined with beautiful homes are a winning combination for this neighborhood and homebuyers are taking notice. 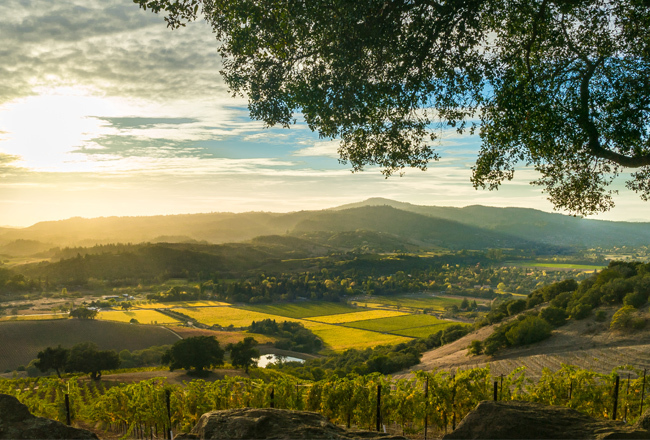 Because Juniper features cluster-homes with front-yard maintenance taken care of by the masterplan, homeowners enjoy a turn-key lifestyle in the heart of wine country. A location near Marin and San Francisco Bay, and easy SMART station access, make day trips or commuting a breeze. Agents looking to add this neighborhood to their touring schedule will be happy to learn that all three floor plans offered at Juniper are available to tour within the community. “We’re seeing a lot of Rohnert Park residents relocate to this community from the west side of town and with all the amenities at University District, it’s easy to see why,” said Division President, Oren Hershkovich. For questions about the community or for the most up-to-date status on homes and homesites available, please call 707.346.8033. Saturday – Sunday: 10 a.m. to 5 p.m.